Summer is now in full swing, and there is only one thing on our minds: ICE CREAM – The ultimate summertime treat. Win a baseball game? Get some ice cream! Broken air conditioner? Ice cream! Have a big date? How about some ice cream?! Yes, it certainly does seem to be the one thing everyone can agree on. And here at Ray’s Bucktown B&B, we try to keep a secret stash in the freezer at all times. If you want to kick up your ice cream experience, we recommend these local ice cream shops to stop by! Remember that episode of Star Trek where they took liquid cream, flavored it however you wanted, and then shot it with liquid nitrogen to make ice cream? Wait, no? Oh that’s right because that was REAL LIFE! 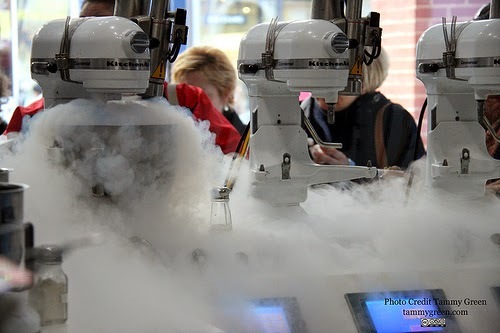 Head over to icream for some seriously futuristic frozen treats! Ok, no, it’s not ice cream. But there’s just something about an icy, fruity brain freeze that screams summer! This Chicago establishment is, quite literally, a hole-in-the-wall. 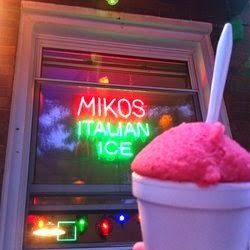 Just walk up to their window and order yourself some Italian ice! And be sure to check out their orange/vanilla combo, the Orangezilla! 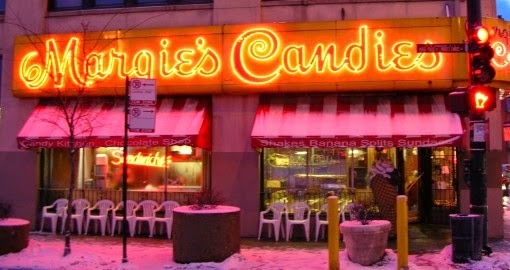 The pinnacle of all ice cream shops, Margie’s Candies has been Chicago’s favorite ice cream parlor since 1921. Their homemade ice cream and hot fudge will make you forget all about that line you stood in for 20 minutes. Why wouldn’t you want to eat at a place that once served the likes of Al Capone, the Rolling Stones and The Beatles? Only a short walk away from us here at Rays! A little taste of Italy, right here in Wicker Park! 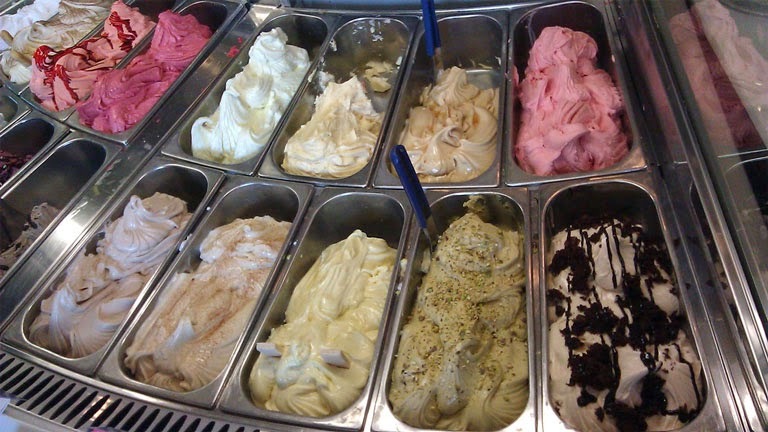 Caffe Gelato makes their creamy treats fresh every morning, ensuring that your taste buds are only graced by the very highest quality gelato around. They also serve up coffee and espresso as well as cookies and cannoli. And keep your eye out for the yellow Caffe Gelato Vespa zipping down the streets of Chicago! Flag them down and grab a scoop to go! You may be thinking, ‘wait a minute Heather. The Boiler Room? In a blog about ice cream? 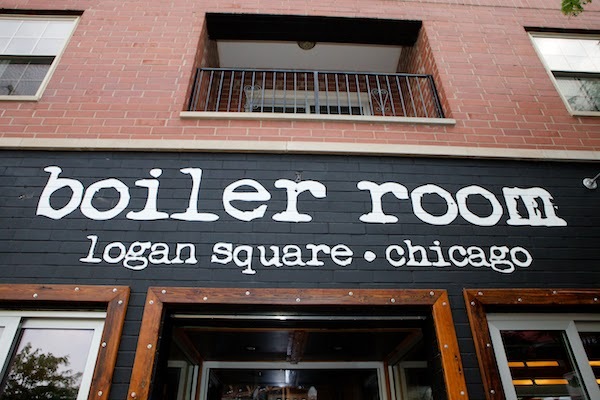 Don’t you know that the Boiler Room is a pizza place?’ Yes. I am fully aware. So why would I mention them? Because they have a secret. A delicious little secret that I will be exposing right now! Jameson soft serve. That’s right. Jameson Irish Whiskey infused into creamy vanilla soft serve ice cream. Just do it. Eat 'Round the World in Bucktown/Wicker Park!